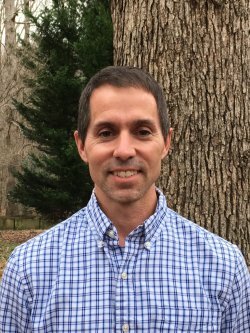 Philip Weatherford | American Forest Management Inc. Helping people buy and sell land in South Carolina. Many rural landowners are not sure how to get the most value from their property. That's true for those who want to manage what they have. It's even truer when the time comes to think of selling or buying. I help people through this process and give them confidence that the right decisions are being made whether they are looking to preserve a legacy or build a new one. With more than 20 years of experience in forestry, timber management, and rural land real estate, I have completed projects spanning from thousands of acres to only a few. I have been a farmer, a forester, a researcher, and a landowner myself. In my work, I value honesty, attention to detail, and the ability to truly help people. When I'm not working, you might find me wandering through the mountains or helping with the campus ministry at the church my family attends near Clemson. I live with my wife and two kids in the town of Piedmont and focus my efforts on South Carolina's western Upstate region.